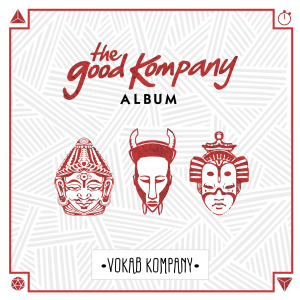 Vokab Kompany – The Good Kompany Album – Album Review | The Ark of Music – The best music in the world…you never knew existed. I recently stumbled across these guys while tumbling down the Soundcloud rabbit hole. Seriously, finding music like this, by accident, is like finding gold. It’s sort of like you just got away with something…know what I mean? Now, a decade later and relocated to San Diego, CA, the hip-hop, funk, soul, and electronica fusion band known as Vokab Kompany have come a considerable distance. Accomplishments include six full albums (and a live album on deck), winning several San Diego Music awards, having their music placed in commercials, film, and television, and touring the nation in support of it all. After speaking with co-front-man/MC, Rob Hurt (check out that interview below), it’s clear that the Vokab Kompany is intent on continuing their forward progress. It’s also clear that they’ve gotten to this point by being positive—yes. But it’s more than that. Theirs is a sound that could really only come from a group of people who are, well, generally happy with the state of their lives. Their music is honest—the harmless kind of honest—which simply seeks to: learn, express, grow, repeat. This combination of qualities is undoubtedly why the Kompany appeals to such a wide audience. Being happy, as it turns out, rubs off. 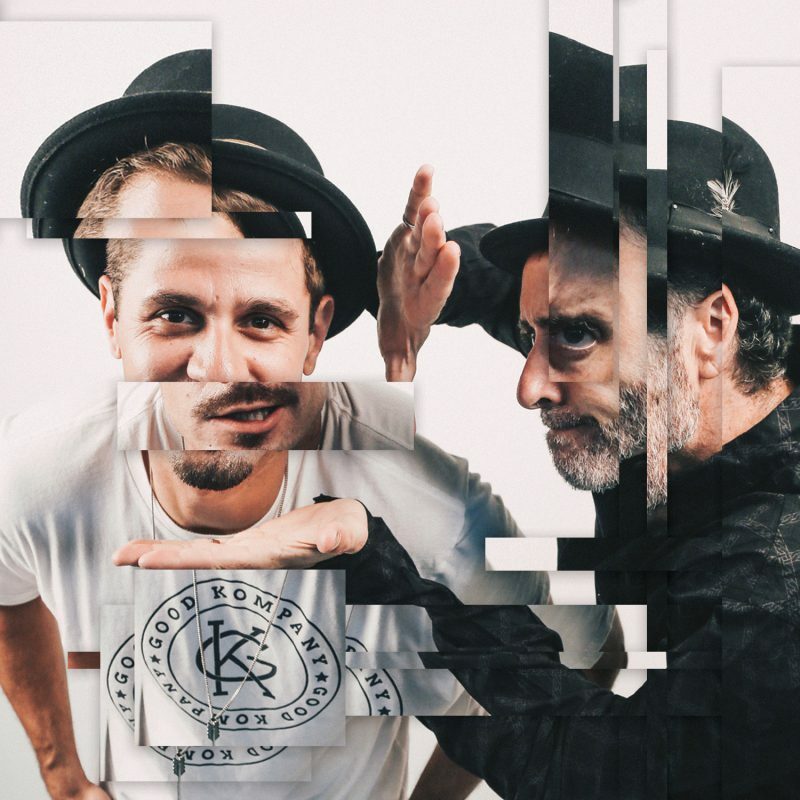 Just this past January the boys released their latest album, The Good Kompany Album, a colorful, no-holds barred project, which—though most definitely rooted in hip-hop—crosses many genre lines, incorporating elements of electronica/dance, electro-pop, rap, and more. Fifteen tracks reflect the experience and hard-earned wisdom that can only come with work and time. The anthemic summer jam, View Of My Life is pure groove, engineered for good times. The first time I heard the song, I thought to myself, “…why did it take this long for me to find these guys?” The accompanying video (below) is also worth a watch. Never Forget You‘s piano and synth explode into your headphones. A beat you might not expect drops soon after. The remainder of the track is equally as dynamic, alternating between MC and vocalist. It’s a killer tune. The smooth and simple Lead You On chronicles the eternal carnal chase. The more you listen, the more you chill. Have A Good Life was engineered for the club. Drenched with bass, layer upon layer of synth, and psychedelic loops, you can put this thing on your gym playlist, and go after it. As I was composing this album review, I found that—at one point—I was sitting and staring blankly at my screen for fifteen or twenty minutes trying to come up with a cool, edgy way to simply say this: The Good Kompany Album is excellent. It’s artistically conceived, professionally executed, and expertly engineered. And, what all of that boils down to is this: It’s a rare album that is worth paying for…seriously. Below, you can listen to Vokab Kompany’s album, The Good Kompany Album, check out our interview with them, connect with their website and social media platforms, watch their music video, check out their live show/tour schedule, and find their booking & contact information. 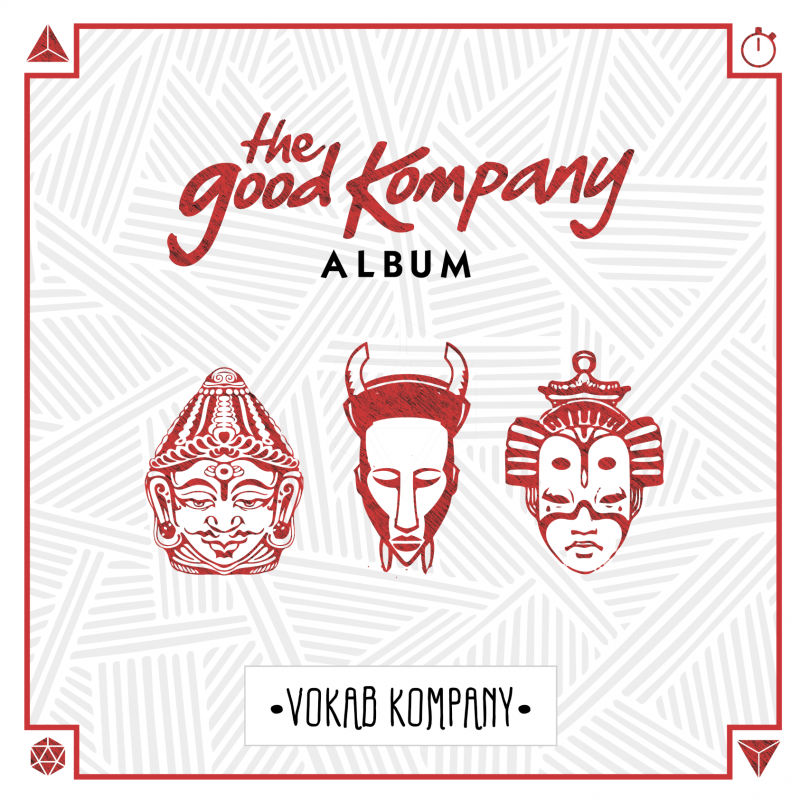 Please support Vokab Kompany by visiting them online, and playing, downloading, and/or purchasing their music. And, as always, thank you for supporting real music!